Born Philip Darryl Core, as a teenager Garrick sang in a Liverpool church choir, but became interested in opera and succeeded in obtaining a scholarship to train as an opera singer in Milan, Italy. He returned to Liverpool after two years, where he was frequently found at the famous Cavern Club and once improvised an opera excerpt of Pagliacci, rendering him the surname "The Opera Singer" at the club. 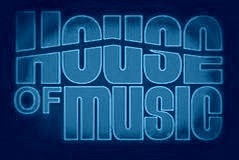 The Kinks' manager, Robert Wace, invited Core to come to London to record a first single. 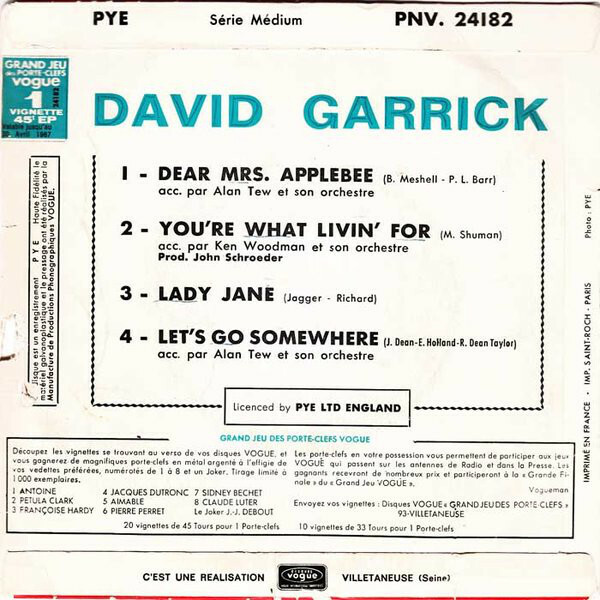 He picked the name "David Garrick" as stage name, after the famous 18th-century actor and playwright. 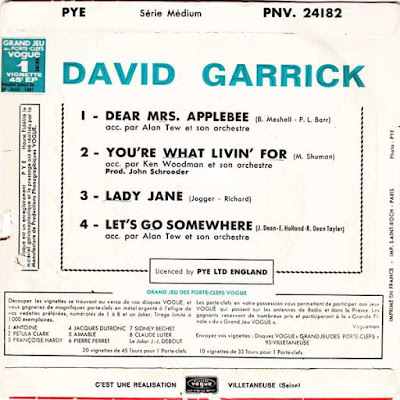 Garrick's first two singles, "Go" (1965) and "One Little Smile" (1965), were unsuccessful. 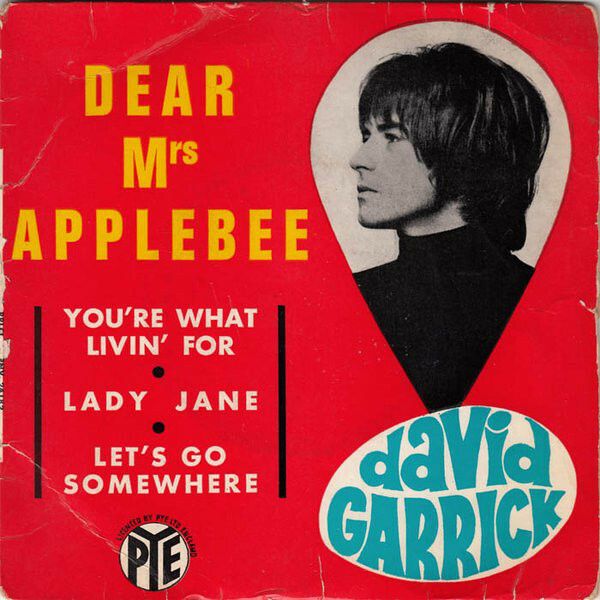 In 1966 he released a cover of the Rolling Stones song "Lady Jane", which had some airplay in the UK, reached number 28 on the UK Singles Chart, but peaked at number 5 in the Netherlands. Later that year he covered "Dear Mrs. Applebee", a relatively unknown American song first recorded by Flip Cartridge,and written by Billy Meshell and Phil Barr.Garrick's version was a hit in the Netherlands (number 3),Flanders (number 3)and Germany (number 1),but got no higher than number 22 on the UK chart.